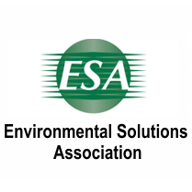 30 Years In The Environmental And Mold Inspection Industry! If you are looking for mold testing and inspection services in Bellmawr then MoldXpertsNJ is the professional mold testers and inspector and is the best choice for you. 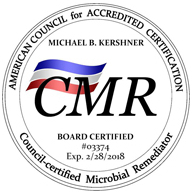 We have certified, local mold inspectors to help you with your residential and commercial mold testing and mold inspection needs. If you suspect a mold problem in your home or commercial business, take immediate action. Test your home office or commercial office for unsafe mold bacteria immediately. Do not put yourself, your family, your health or co-workers at risk! 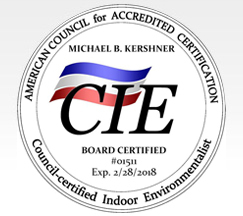 You should only use certified inspectors & mold testers to test and inspect for mold in your home or place of business. MoldXpertsNJ only uses certified inspectors. 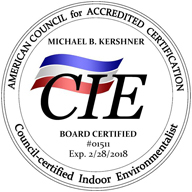 our certified and professional Mold Inspectors have all of the latest tools and cutting edge knowledge needed to find the source of the mold. We know what to look for and where to look in order to find conditions conducive to mold growth. MoldXpertsNJ uses Biologists and Microbiologists to read you your results. So contact us today and lead a happy and healthy life free of molds! We are always HAPPY TO ASSIST! At MoldXpertsNJ, we go beyond the typical tools of the trade to bring you enhanced commercial mold inspection. In addition to mold air testing and surface sampling, our dedicated professionals are trained to use thermal imaging technology, giving us a better understanding of where to hunt for hidden moisture and mold. Since invading mold is not always detectable by sight, it’s imperative to know where to look when doing commercial mold detection. By scanning with thermal imaging, we’re able to sweep for hidden spots other mold testing companies could miss. Should the outcome of your mold testing show toxic black mold, MoldXpertsNJ will be happy to recommend a mold remediation company as a follow-up to our mold detection services. After black mold testing has been confirmed, it’s crucial to act fast in order to minimize the spread of airborne toxic mold. We’re also available for post-remediation mold inspection to help you verify once and for all that your building is safe. Learn more about our Indoor Air Quality testing Sservices. Need more information about black mold testing for commercial structures? Reach us via phone at (609) 318-4536 as soon as possible! MoldXpertsNJ is a locally owned and operated mold inspection company. We are open seven days a week for your commercial mold inspection. Call our Bellmawr mold testing company today to check for unhealthy conditions in your school, office, store, or other commercial building. The sooner you call, the quicker you can get the results of your black mold testing. It’s better to know than to let the problem get worse. Call now to get started on your commercial mold detection. WE OFFER A FREE COMMERCIAL MOLD CONSULTATION!